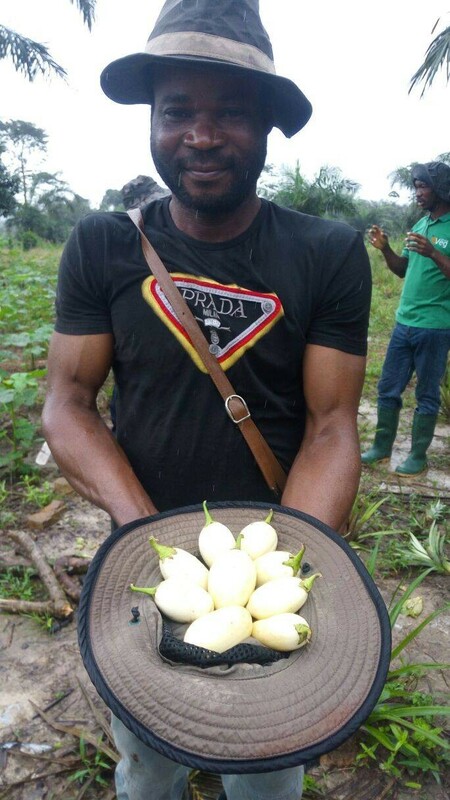 When a catering company asked Omere Marion to add vegetables to the crops he supplied to them, he was initially hesitant. He had tried to produce vegetables in the past, but was never satisfied with the yields. Marion farms in Abekroase, a mining community in the Western Region of Ghana, and one of his clients is the largest catering company which serves this community. Although he already provided plantain and pineapple to them, they requested he add vegetables to his supply and suggested he speak to East-West Seed and Tikola Ghana Ltd, the sole distributor of EWS in Ghana. Despite his initial hesitation based on his previous experience with vegetables, Mr Marion agreed to meet with Tikola’s sales representative for the region, Jonathan Nduakoh. He was quickly convinced that it was not only possible, but profitable to produce vegetables in the area. Soon after, he even hosted a model farm project as the lead farmer, an initiative sponsored by GhanaVeg. 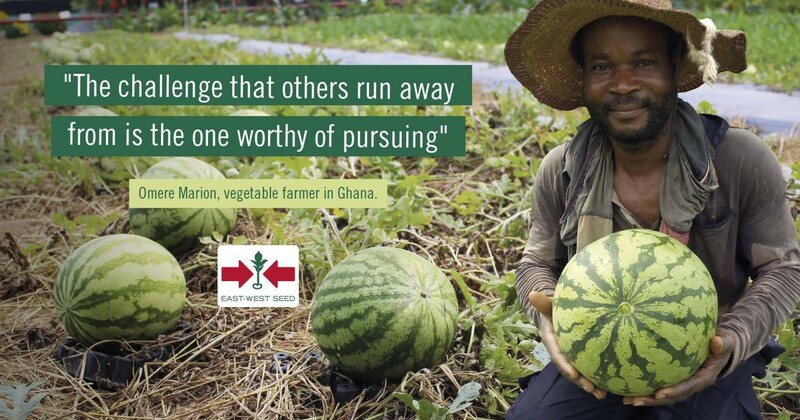 GhanaVeg is an initiative of The Embassy of the Kingdom of the Netherlands in line with efforts towards prioritizing commercial agriculture in Ghana. Mr Marion now supplies the catering company with EWS varieties including Kibibi F1 (African eggplant), Maha F1 (okra), Efia (hot pepper), and Sweet Sangria (watermelon). From being initially skeptical, he now intends to specialize in the production of these crops while adding other vegetable varieties with high resistance to wilt disease and fungal disease. “The training offered me the opportunity of realizing the challenge that others run away from is the one worthy of pursuing,” Mr Marion says. With his profits, he has bought a motorbike and had rented a land closer to a river to enable ease his farming activities. He has also become somewhat of a hero among his fellow farmers. “Now others look up to me to advise them on their cropping concerns. As long as there are people to consume vegetables, we will have customers,” he says.